The Leadership Director is responsible for coordinating the leadership, volunteer, society and human resources-related training and development activities for the members of the state council and local SHRM chapters. This page is meant to be a resource to SHRM volunteer leaders throughout the state of Wisconsin. You will find information on this page that will help you connect to best practices, information on WISHRM Leadership Conference and general materials that can help you build a toolkit for you in your roll as a volunteer leader with SHRM. My first efforts go to the national SHRM website to the pages for Templates and Tools or the Volunteer Leaders' Resource Center - VLRC to find exactly what I need. If you are looking for specific assistance in an area you don’t find here reach out to your District Director or your WISHRM Leadership Director because we are here to help you. On behalf of the WISHRM State Council we would like to thank you for giving of your time, energy and talents to make a difference in ‘Serving the Professional and Advancing the Profession’. 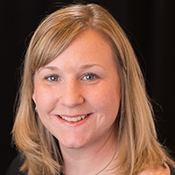 Rachael has served the Green Bay Area SHRM board for 5 years including 3 years as the President Elect, President and Past President. She took a break for a few years and is looking forward to being more involved at the State level. She graduated with the Human Resources Degree in 2001 from the University WI Eau Claire and has worked in HR for 17 years.